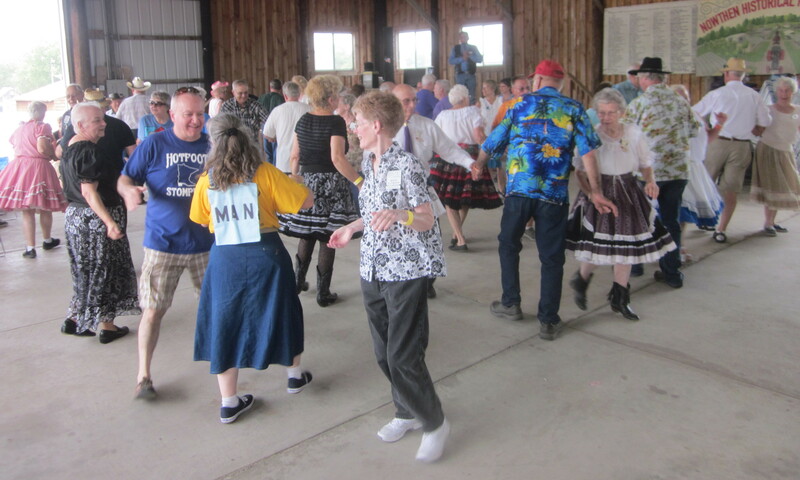 Nowthen Threshing Show | Square Dance Minnesota, Inc.
August 19, 2018 – Nowthen Threshing Show Square Dance Demo, Nowthen, Caller Abe Maier. Dancers (see photo above) from Afternoon Squares, Cambridge Corners, County Line Squares, Hot Foot Stompers, Single Circles, Square & Twirl, Spares & Pairs, and Westonka Whirlers were present. This entry was posted in Activities on August 19, 2018 by LeRoy.